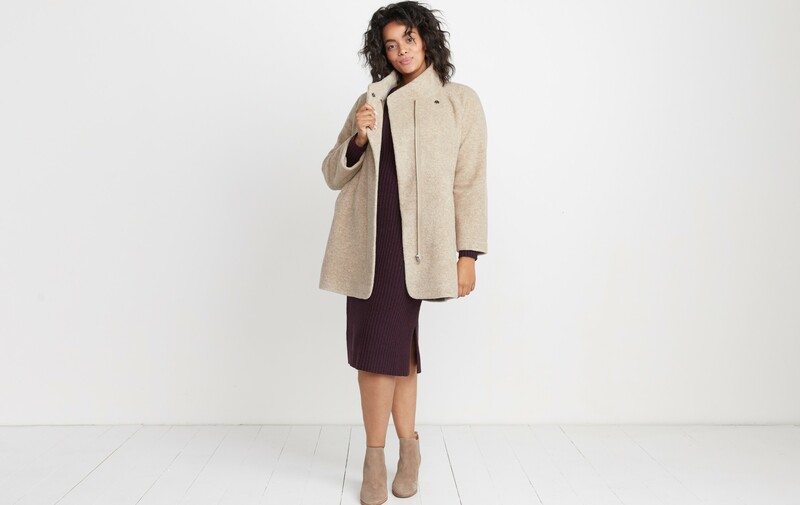 AKA the sweater dress with lux appeal that’s actually comfortable. 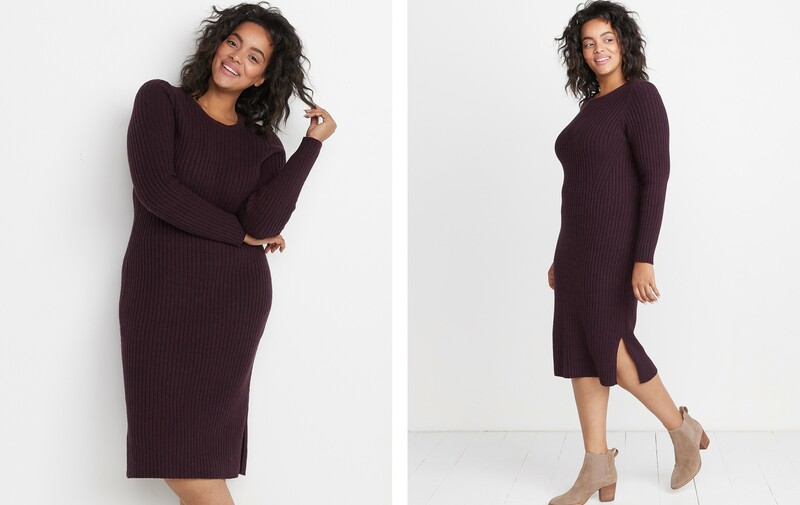 This deep purple sweater dress is body-slimming without being tight (how!) and has side slits so you can actually walk. Made with cotton and Merino wool, this brand new fabric is ideal sweater knit material. It’s got heathered yarn knit in a ribbed construction with the juuust right amount of stretch.